MOTHERHOOD IS NOT A BATTLE AGAINST OTHER MOTHERS. MOTHERHOOD - ProudMummy.com the Web's Community for Mums. MOTHERHOOD IS NOT A BATTLE AGAINST OTHER MOTHERS. 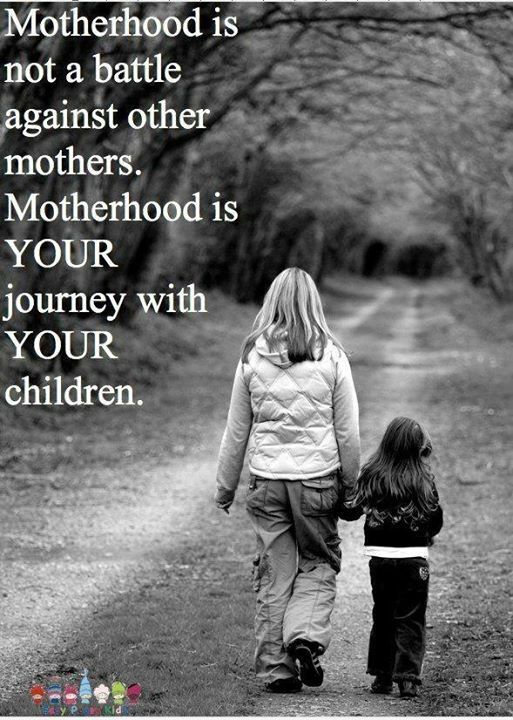 MOTHERHOOD IS YOUR JOURNEY WITH YOUR CHILDREN.